The 30-share index fell 100.54 points, or 0.29 per cent, to 34,911.11. The gauge had rallied nearly 580 points Friday. The NSE Nifty, too, was trading 39.80 points, or 0.38 per cent, lower at 10,513.20. Sectoral indices, led by power, metal, banking and auto stocks, were trading in the negative terrain, falling by up to 1.44 per cent. Brokers said sentiments were weak largely in tandem with a negative trend in other Asian markets, tracking losses at the Wall Street, and profit-booking by investors after Friday's rally. NTPC fell the most by 3.01 per cent among Sensex scrips, followed by IndusInd Bank shedding 2.17 per cent. Other laggards were PowerGrid, ICICI Bank, Hero MotoCorp, Adani Ports, Tata Motors, Vedanta, M&M, Asian Paint, Kotak Bank, Bajaj Auto, RIL, Tata Steel, HUL and HDFC, falling up to 1.95 per cent. 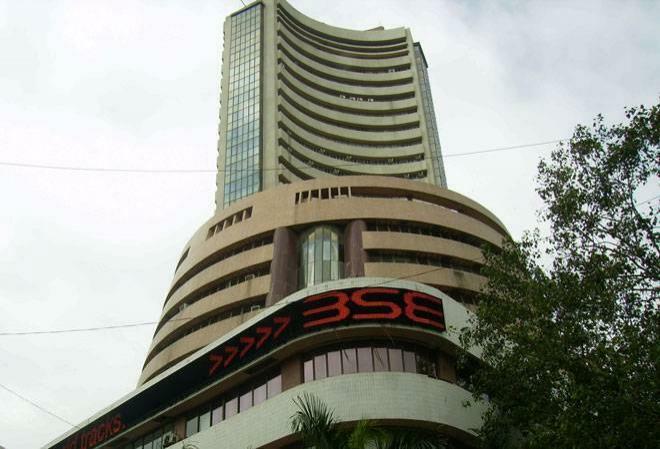 On the other hand, Axis Bank, ONGC, Sun Pharma, SBI and Yes Bank were trading positive, rising up to 1.98 per cent. Meanwhile, foreign institutional investors (FIIs) sold shares worth a net of Rs 196.90 crore, while domestic institutional investors (DIIs) bought shares to the tune of Rs 852.99 crore. Elsewhere in Asia, Japan's Nikkei was down by 1.16 per cent, while Hong Kong's Hang Seng fell 2.52 per cent. Korea fell 1.50 per cent, Shanghai Composite Index shed 2 per cent and Taiwan lost 0.89 per cent. The US Dow Jones Industrial had ended 0.43 per cent lower Friday.